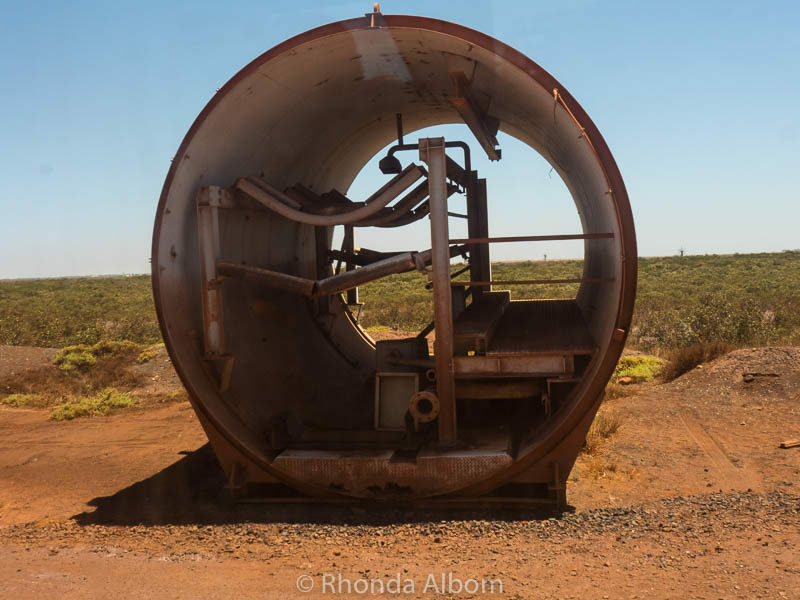 I’ll admit, I wasn’t exceedingly enthusiastic about visiting Port Hedland Australia. 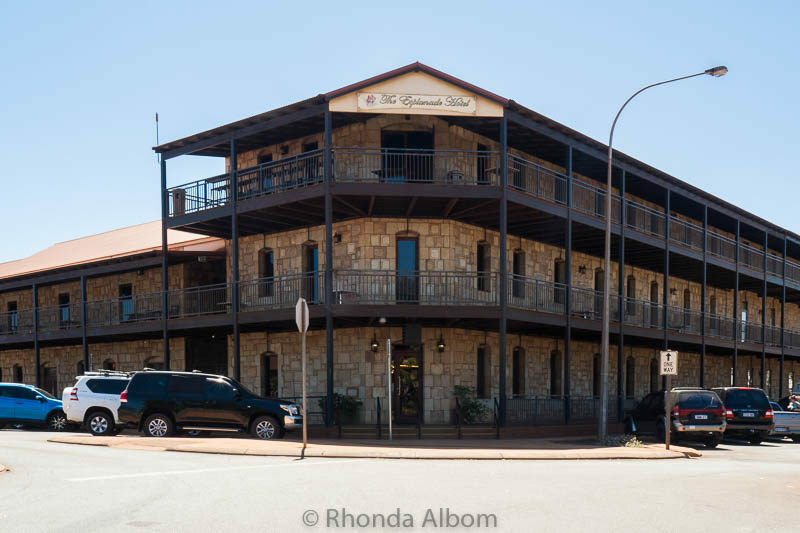 However, it was a port stop as we circumnavigated Australia with Royal Caribbean and, it turned out to be far more interesting than we predicted. 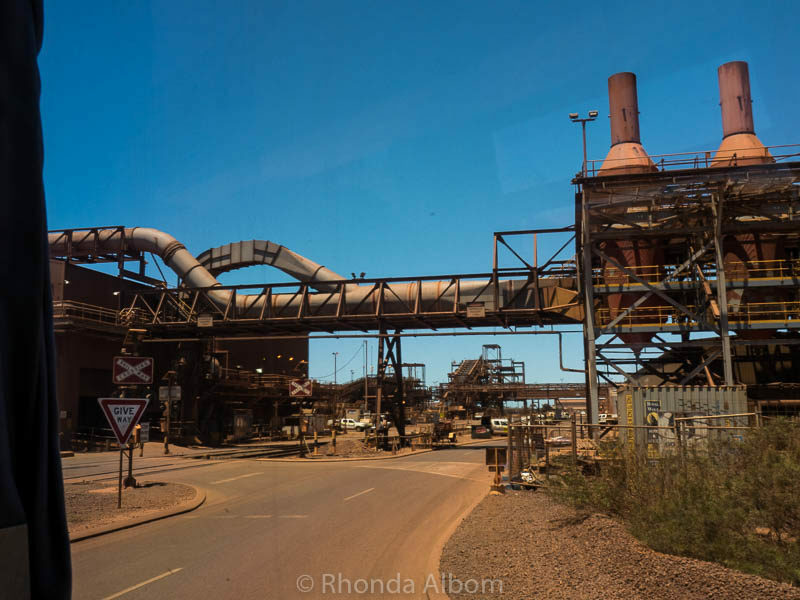 The number one thing to do in this town is to tour the BHP Billiton and iron ore mining operation. Although located in Port Hedland, it is controlled remotely from Perth 1320 km away. It’s bizarre to think all of this is fully automated. 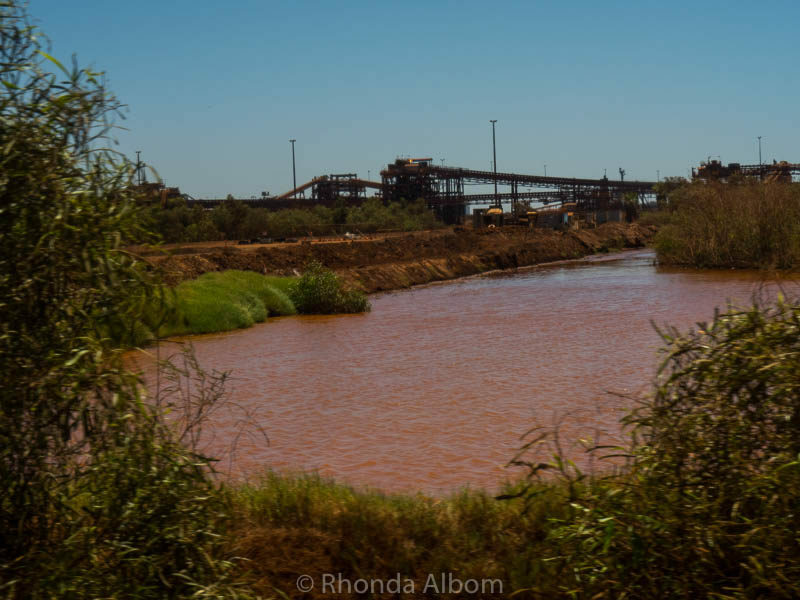 Located in tropical Western Australia, Port Hedland gets only 13 days of rain per year. It is usually hot with average temperatures ranging from 27.1 °C (80.8 °F) in winter to 36.4 (95.5 °F) in the summer, and ideal climate for both iron ore and salt processing. Importantly, if you arrive via cruise ship and want to tour BHP Billiton Iron Ore, you will need to do it with a ships excursion. 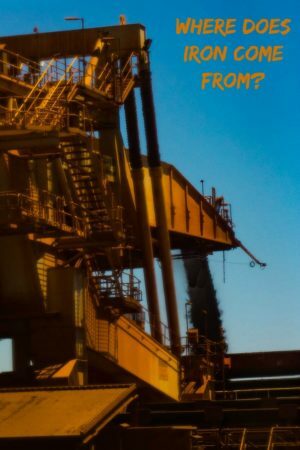 Billiton does not offer public tours on days cruise ships are in port. Our ship’s excursion was excellent and narrated by a knowledgeable, personable, and friendly local guide. 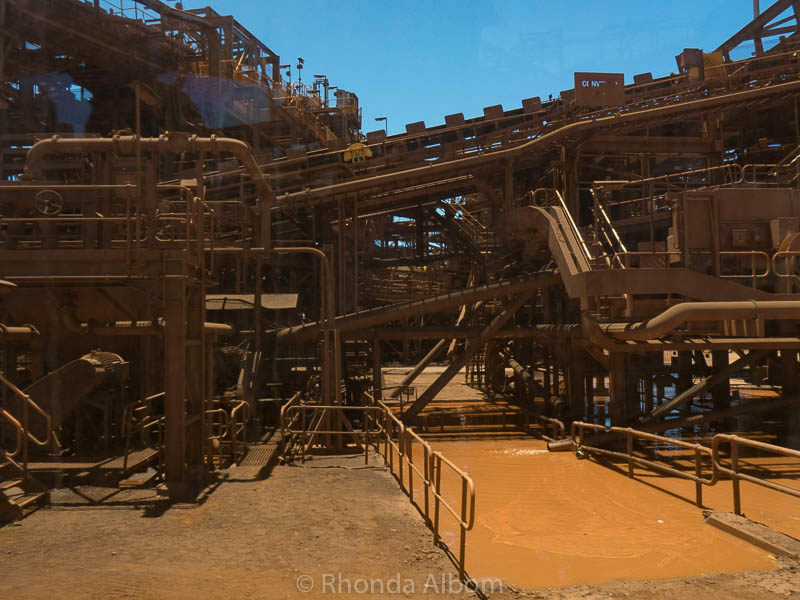 The conveying structure at the “spaghetti junction” of BHP Billiton. 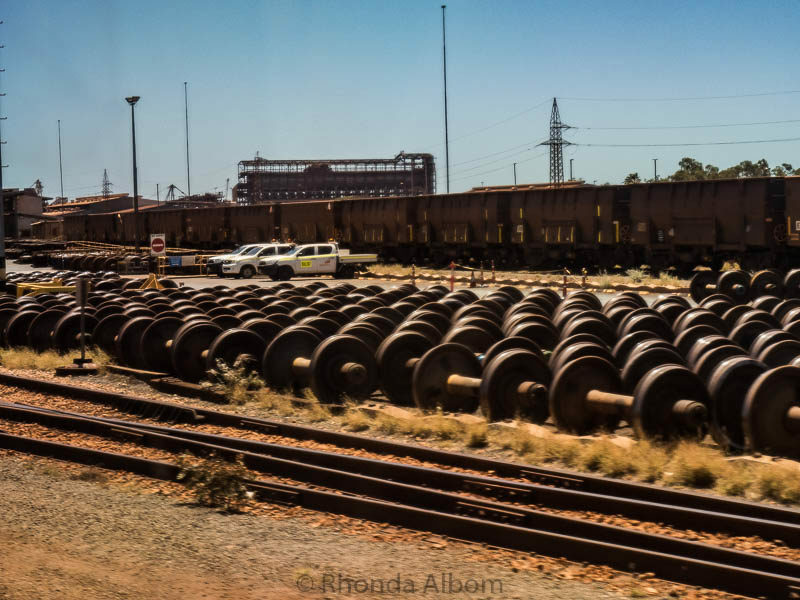 The iron ore is moved by trains up to 2.9 km in length and carrying up to 32,000 tonnes of iron ore. The filling of the cars is also automated out of Perth. Refurbished train wheels are waiting to be needed. Part of the dust reducing system at the plant. Everything in town has a reddish tint from the iron ore, seen clearly on this manmade lake. This is a sample section of tunnel that goes under the harbour. It has room for pedestrians and conveyor. The block at the end of the top arm is acounterweightt to support the machinery. 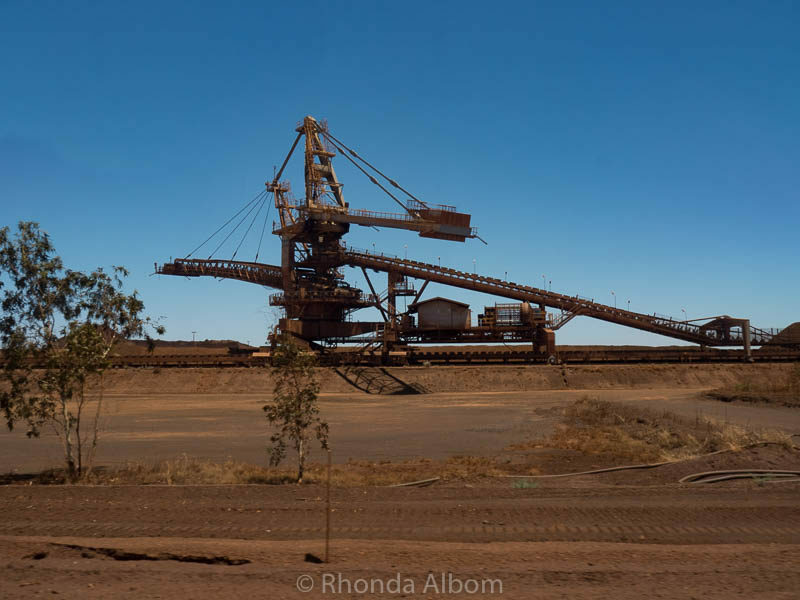 A bucket wheel (hidden and out of the photo) scoops the iron ore onto the conveyor, the end at the left pours it into piles. This ship will carry iron ore. Filled ships sit almost 20 metres lower in the water than empty ones. They can only move out of the harbour on the high tide. 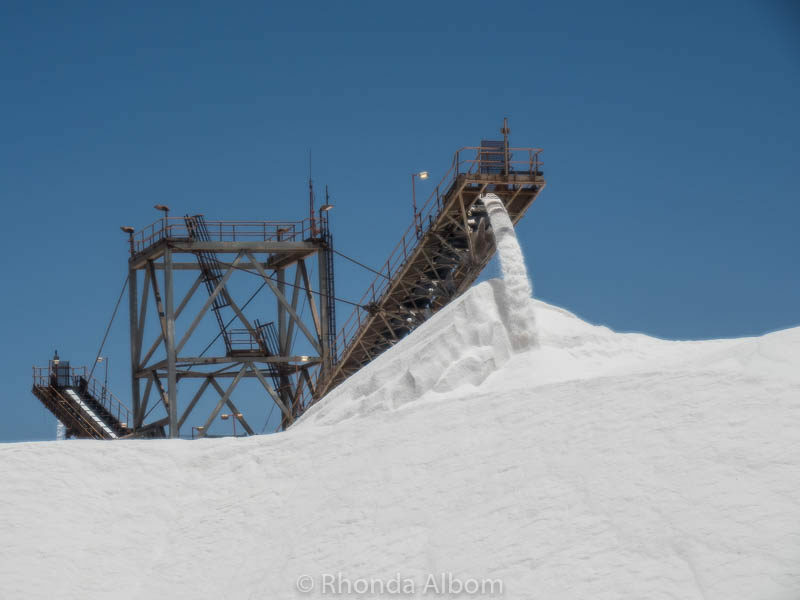 Industrial salt loaded into mounds by Rio Tinto. 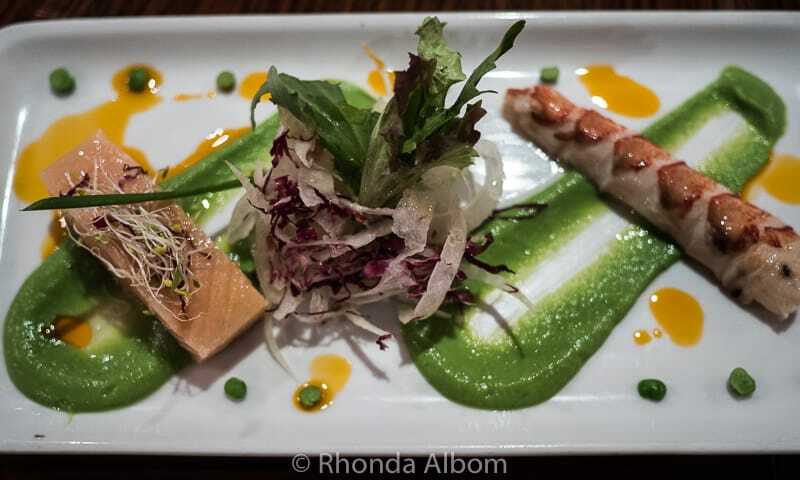 While not a popular tourist destination, there is more to the town. When the ship arrive, we were welcomed with a craft market that is open on the six days this year that a cruise ships is in port. There is a visitor’s centre offering both information and souvenirs, plus the Dalgety House Museum. 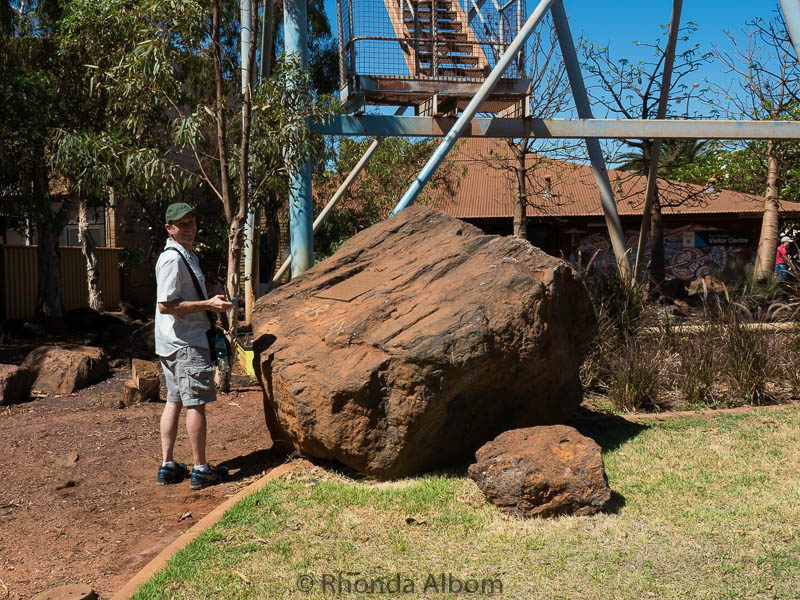 Iron ore boulder on display in town. The Esplanade Hotel first opened in 1904 as McKenzie’s. You know if there is street art, I will take a photo. Flatback turtles breed and nest here from October to January. We were given bad advice when told we could only see them at night. Another cruise passenger saw turtles. We did go down to a beach just to stick our toes in the Indian Ocean. A chance to dip our feet into the Indian Ocean as we pass the mangroves on this beach. We had to roll our eyes when we first saw Bruno’s Ocean Lodge. 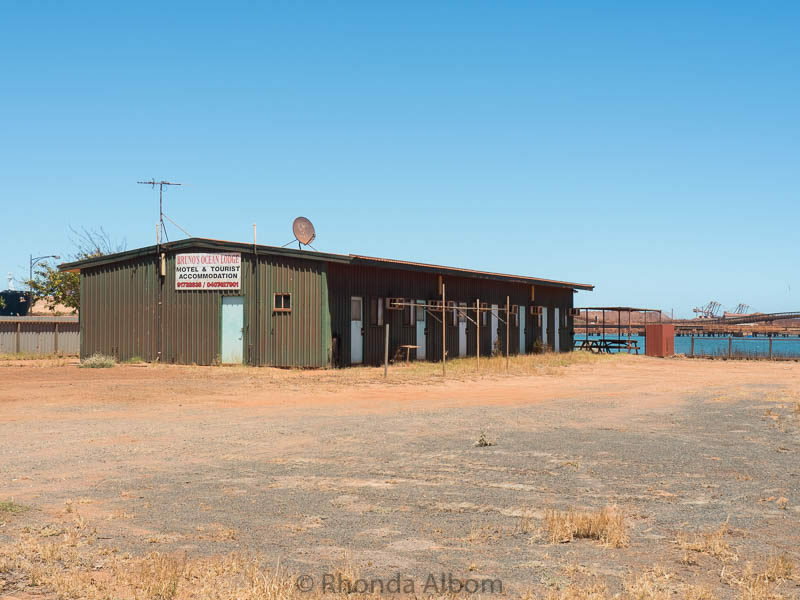 It is available for lease, should you be looking for a shed-like motel. We discovered it on a coastal walk from Marapikurrinya Park. The Karriyarra people are the aboriginal tribe from the area. A Royal Flying Doctor Service has been based in Port Hedland since 1935. Aviation is a way of life for medical, postal, and mine workers who frequently fly in and fly out for their respective jobs. 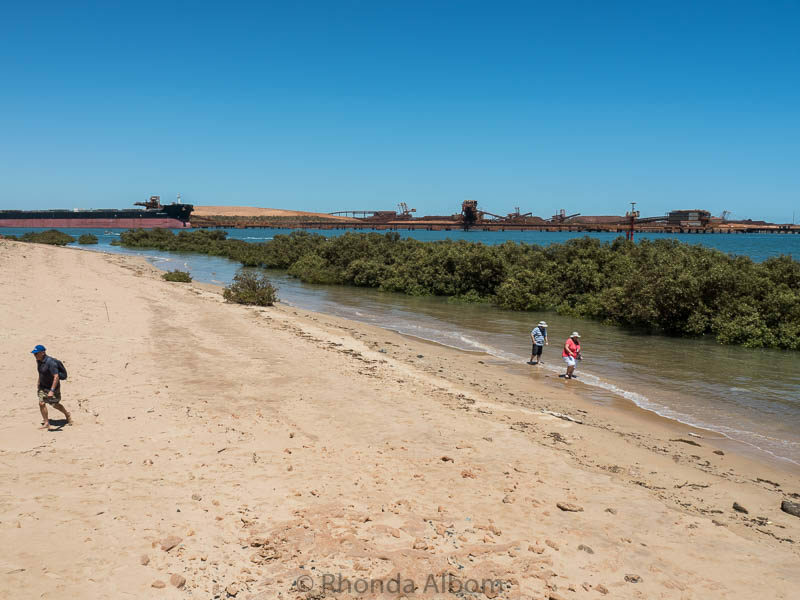 Aside from BHP Billiton, other excursion options offered on by the cruise line included a historical tour, a beach tour, and FIFO mining experience. Port Hedland is the fifth port as we sail from Sydney to Perth around the top of Australia on the Radiance of the Seas. She is a midsized ship in the Royal Caribbean fleet, and the favourite of many people we met onboard. We visited Bali (Indonesia) just prior to Port Hedlands, and from here we went to Geraldton, Australia. We love cruising and share our best cruising tips here. 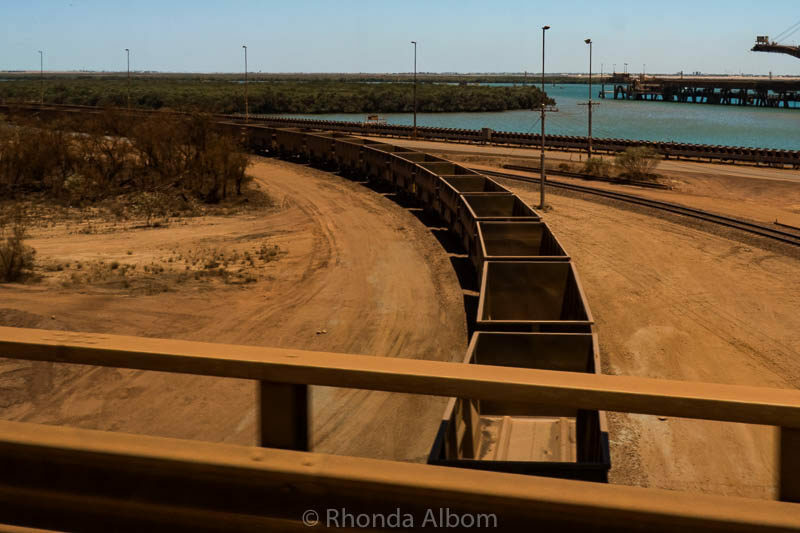 Have you been to Port Hedland? Have you seen iron ore before? 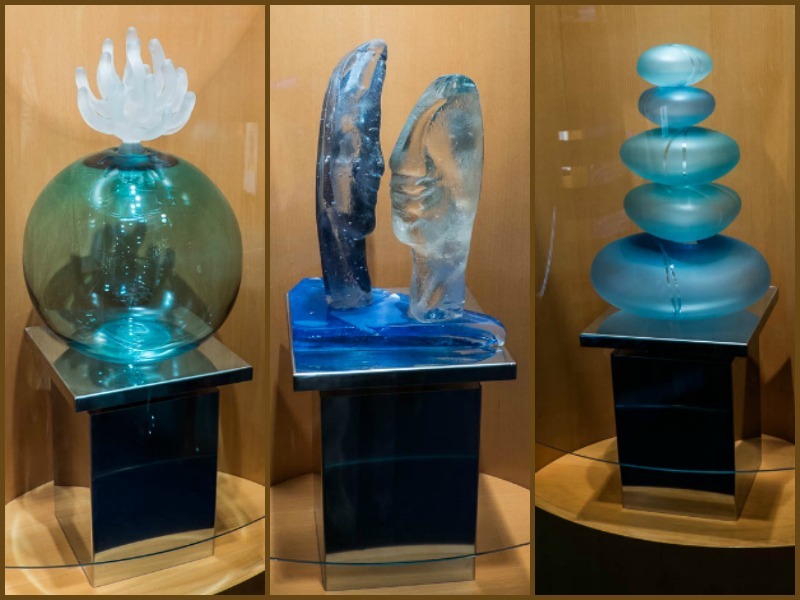 Disclaimer: In addition to VIP treatment onboard the Radiance of the Seas we were provided with many complimentary extras including this excursion. The opinions expressed here are strictly my own. 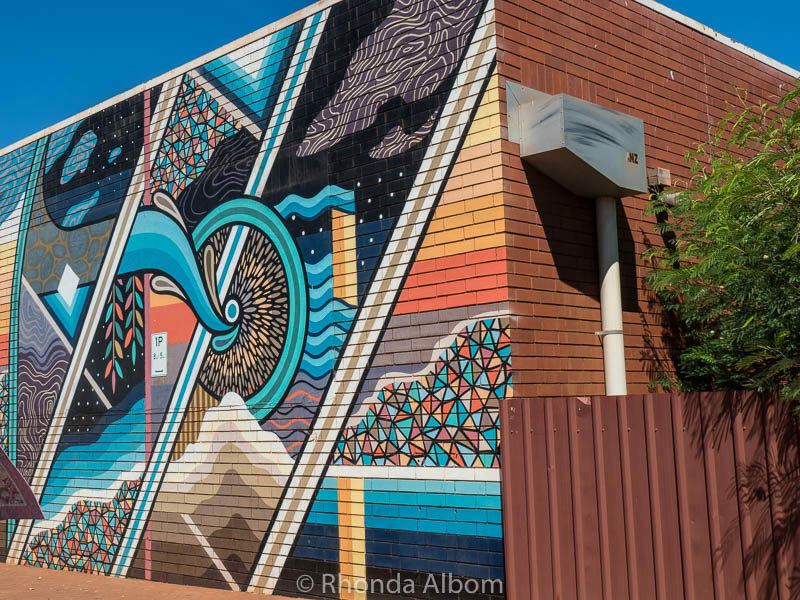 Imagine finding a mural in such an unlikely spot! And it’s a lovely one too; the style reminds me of Leger’s work. Got a kick out of the name spaghetti junction too. That is exactly why I took the photo. It was a cool find. Interesting place. Not my kind of town, but I wouldn’t mind to stop here for day and take some photos. I didn’t think it was my kind of town either, but I found it fascinating. Such interesting photos. I really like them. And I love the shape of that hotel. LOL – Are you serious about the hotel? If so, it’s for lease. Sometimes those are the best places. How interesting! I’ve never been to Australia and this certainly isn’t the type of imagery & information I’m used to seeing! Looks like a very neat experience. We nearly circumnavigated Australia, and this was the only place we came to like this. I would have enjoyed this. Love exploring these kinds of places. Such history. Remember, we were relegated to the bus while in BHP Billiton, so we couldn’t really explore, but seeing it was quite interesting. Sometimes the places we think we’re not interested in seeing turn out to be very interesting indeed! This was really interesting. Wales has a heritage of iron works and we visited Blaenavon recently. Compared this it’s tiny and sadly now just a museum. This really was an unexpected surprise. It sure was quite the change. I had no idea BHP Billiton was also in South Africa. I would’ve loved it. Look at all those unique lines and shapes. Perfect for B&W shots. Interesting idea. I might convert a few of them to Black and White.